Tails and Osaka. This is a request frylock243 made last month! I'm sorry it's taken so long!! 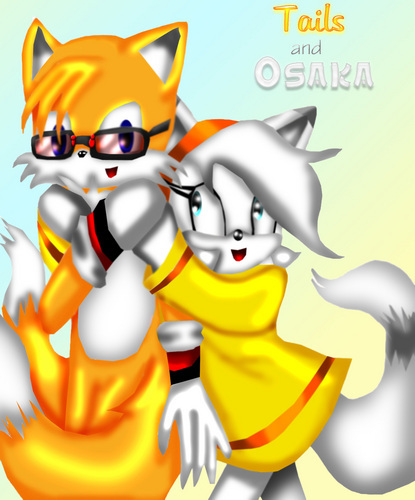 I did this entirely from memory, since I didn't have reference for Osaka and the dress she wanted at the time I drew it.. HD Wallpaper and background images in the Sonic Fan Characters club tagged: fanart character made fan the my sonic tails osaka. cool. Dang I need more picture of ruby. Sure, I guess. It'd have to wait until AFTER Christmas, though, if you don't mind. Ok why is tailz wearing glasses?